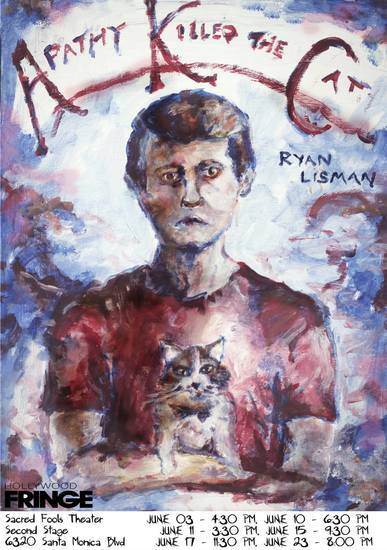 Ryan Lisman, writer/director of ‘Apathy Killed the Cat,’ talks about his new play which is making its world premiere at the Fringe. Making its world premiere at the Hollywood Fringe next month is Apathy Killed the Cat, a new play by Fringe veteran Ryan Lisman. This intimate piece concerns a depressed playwright, his catatonic mother, a dying cat and some shocking secrets. Ryan took some time out from the Fest’s rigorous production schedule to talk with me about the play and about his overall Fringe experience. 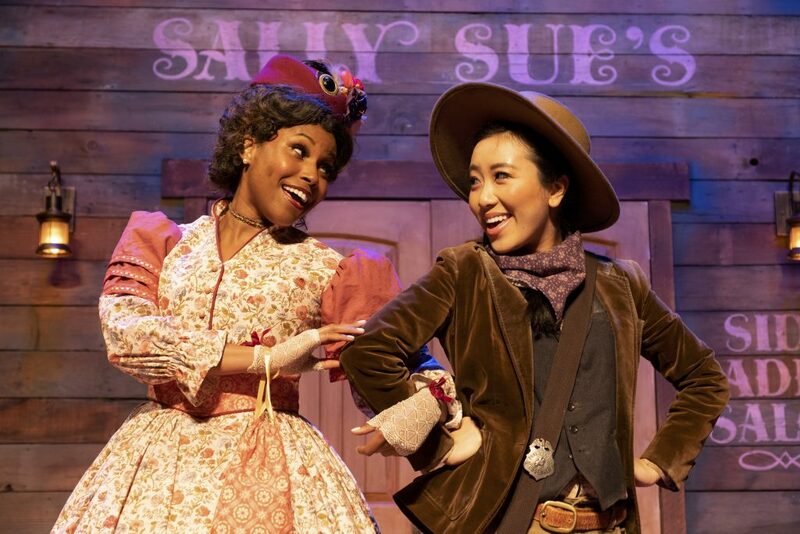 ARTSBEAT LA: Tell us a bit about the play. RYAN LISMAN: It’s about a playwright who feels that his life is crumbling. His mom is in the hospital in a catatonic state, and his cat is about to die. As a coping mechanism, he writes an 826-page play chronicling his entire life. He plans to give it to his mother, knowing she won’t be able to read it, but he’s always given her all his plays as a way of trying to connect with her. He puts the play in her hands with plans to retrieve it, but it is found by his girlfriend and his brothers before he can do so. This unwanted exposure unravels everything in his life, revealing things he never wanted anyone to know. I don’t want to give away any spoilers, but I will say it’s something very controversial and disturbing. What was your inspiration for writing the piece? I try to put good amount of personal elements into my work. I find it makes the writing process a lot more meaningful for me. Obviously, I dramatize it a lot. I put my own cat, Rosebud, in the play. My cat is very young and healthy, but the Rosebud in the play is old and dying. I was just thinking about what it would be like to have to put Rosebud down, and how hard life would be after that. I guess I was inspired by the fact that losing loved ones is always traumatic, and grief can often dominate your life. I think it’s important to know yourself and how to work through that grief so it doesn’t cripple you forever. A key message in the play is understanding how to accept death as a natural part of life, and how to let go in a healthy way as part of that process. You’ve been at the Fringe before, right? How many times? Right. This is my third Fringe. The first time, I produced and acted in a play. Last year was the first time I produced something I’d written, and this will be the second year producing something I wrote. How is the process going? I know there are challenges and time constraints with the Fringe. There are definitely some obstacles that the Fringe throws at you, but I welcome them. I find the whole thing very exhilarating. I enjoy having these set obstacles. It’s always difficult, I think, with independent, non-union theater. Scheduling is always especially hard. Everyone has such different schedules, with work and all. It’s really hard finding a time that works for everyone. Being on a limited budget is also a challenge. You want to do something, you want to get a certain prop that’s too expensive, and you know you have to just let go sometimes. For the most part, though, it’s going pretty well. I feel good about where we are. How did you acquire your cast? I find auditions to be one of the most fun aspects of theater. Starting out as an actor and as the person being judged, it’s nice to find myself on the other side. I just find it really fun being in the audition room and getting to work with the 30 or so actors auditioning. I really enjoy being able to meet them for the first time, give them direction and see if their energy matches the character’s. It’s really an energy thing, I think. I used Actors Access and Backstage.com. I also was lucky to have a network of people I’d met at the Fringe and in other theater ventures. I have a main cast of five and an ensemble cast of 10, so that took a while to cast. It’s a pretty eclectic mix. When you go into production on a piece, are you collaborative? Do you find the work changing or evolving? Yes, especially with an original script such as this. It’s the first time it’s going to be produced. The way I look at is that the actors are the ones saying the lines, so I welcome the collaboration. Honestly, if there was more time, I’d like to do it even more. I’m only one brain, so the more brains I can get into the room to give input the better. I find it helpful because there can be things that I don’t catch that they catch. As a veteran, what do you like about the Fringe? I just love the fast-paced nature of it all. I really try to take full advantage of it and have as much fun as possible. The past few times I saw about 20 to 25 shows, more or less. I love being able to get there in the afternoon and see three or four shows, going to Fringe Central afterward and just meeting people. I love the community. I really love talking to other artists. There’s really great conversation that happens. It’s nice to see other people who are passionate about what they’re doing and hearing about their experiences with their plays. And, of course, networking is fun. The more people you have a good relationship with, it’s always going to help. And as a producer, it’s always nice to do a comp swap. “I’ll give you a ticket to my show, you give me a ticket to yours.” We see each other’s show, we support each other, no one loses money. It’s perfect. That’s something that’s really unique to the Fringe. I also think the 15-minute in-and-out time is really fun. The energy is so high, because you know you only have 15 minutes to set up. It’s just that high-energy, spontaneous environment that I feel like I really thrive in. Since the Fringe is a community, what other shows would you put on your must-see list this year? I’d say Chateau Rene, Pledge, Narcissus & Echo, Orange Mango Cabaret and Pagliaccis. Apathy Killed the Cat plays June 3 (preview) through June 23 at the Sacred Fools Theatre, 6320 Santa Monica Blvd. Tickets can be obtained on the Fringe site.